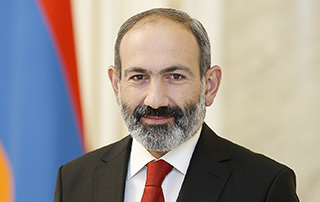 Prime Minister Nikol Pashinyan has sent a congratulatory message to President Hassan Rouhani of the Islamic Republic of Iran on the occasion of the 40th anniversary of Islamic Revolution’s victory. “I cordially congratulate you and the friendly people of Iran on the 40th anniversary of Islamic Revolution’s Victory. I am confident that the Islamic Republic of Iran will continue along the path of steadfast development and will boast ever new achievements and success stories. The centuries-old friendship and the deeply-rooted traditions between the two peoples provide a solid basis for reinvigorating the Armenian-Iranian relations and raising our bilateral cooperation to a qualitatively new level. I am hopeful that during my upcoming visit to Iran, we will have an opportunity to discuss ways of expanding the ongoing mutually beneficial cooperation through new joint projects.